The Artemisia herb is called after a Greek Goddess of virginity, Animals, Childbirth, and hunting. We know the herb better as Mugwort or Wormwood. 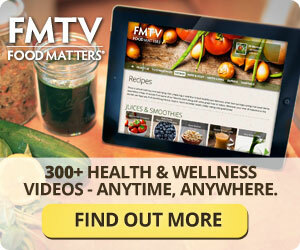 It has many benefits and is often used to treat disorders of the digestive tract. It is also effective against all kind of parasites.In the traditional Chinese Medicine, it is also used for moxibustion heat therapy to stimulate the flow of qi.Native American Women used it to regulate fertility.It is also used for irregular periods and other menstrual problems. But here is a guide to using it for Dreams. Lucid dreaming, a term coined by Frederik van Eeden who used the word ‘lucid’ in reference to mental clarity, is a phenomenon in which a dreaming individual becomes aware that what they are experiencing is not physical reality, but a dream. This realization most often occurs when a dreamer notices some sort of shocking or impossible event, such as commune with the deceased, underwater breathing, flight, et cetera. Some individuals will even suddenly realize they are dreaming without any sort of clue. There is also an uncommon scenario in which lucidity within a dream is achieved when one returns to REM (dream) sleep immediately after a brief moment of awakening; the sensation of being awake is carried with your mind back into its dream state. By definition, a lucid dream requires only that you become aware that you are dreaming, though a level of lucidity can vary greatly. For example, a high-level of lucidity allows one to become aware that every event is occurring within their mind and that they are sleeping safely in bed whereas a low-level of lucidity is perhaps enough to put thought into decisions and maybe make alterations to the environment, but fear of harm and interacting with other beings may persist. Certain herbal substances have been found to intensify the state of REM sleep. This can have a powerful effect on dream frequency and intensity which, in turn, effects the likeliness of a person recognizing when they are dreaming and being able to recall their dreams after waking. Among these substances are the Xhosa Root, Valerian, and most notably, Mugwort. For thousands of years, Mugwort, also known as artemesia annua, has had its place in medicinal practice, for it is effective in appetite arousal, digestion stimulation, and even stopping profuse bleeding. 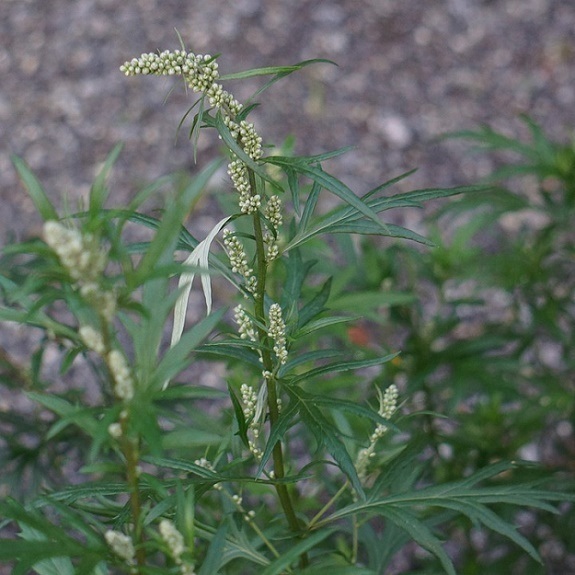 Roman soldiers would often place Mugwort in their boots before traveling long distances, claiming it kept their feet feeling fresh and vitalized. Also, Mugwort’s pungent aroma is coveted for its therapeutic properties as it is said to promote clear mindedness and even effect subconscious thought patterns. Aside from its practical and aromatic applications during waking consciousness, it is how this historical herb can affect our sleep patterns and dream states that we would like to call attention to. The active compound in Mugwort is called Thujone which is said to serve as a ‘stepping stone’ to lucid dreaming. When using Mugwort for dream enhancement, it can be ingested in a number of ways. 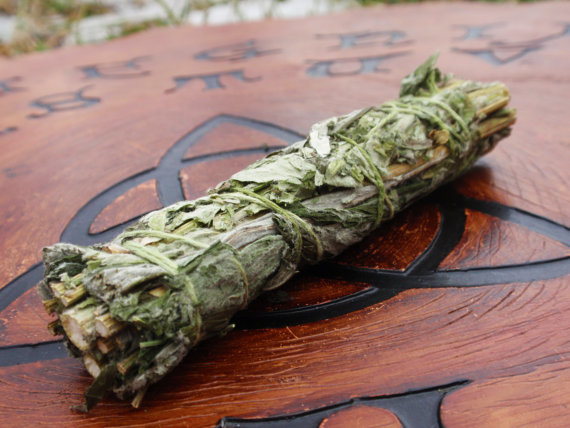 Mugwort can also be made into smudging sticks that, when burned, can engulf an area with its powerful aromatic effects. This method is the simplest and the most appropriate form of administration in ceremonial or group scenarios, though be sure to only smudge in areas with good air flow and open ventilation. Dream pillows, as they are referred to, are a very popular method of using Mugwort. To create one, Mugwort leaves or incense is placed inside of a pouch which is then placed inside of or beneath one’s pillow when sleeping. The Mugwort can be part of a mixture of herbs including but not limited to Anise, Cedar, Jasmine, Lavender, Rosemary, Hops, and Calendula, all of which have their own unique benefits on the sleeping subconscious. Perhaps the most common method of consuming Mugwort is to brew the leaves into a tea.